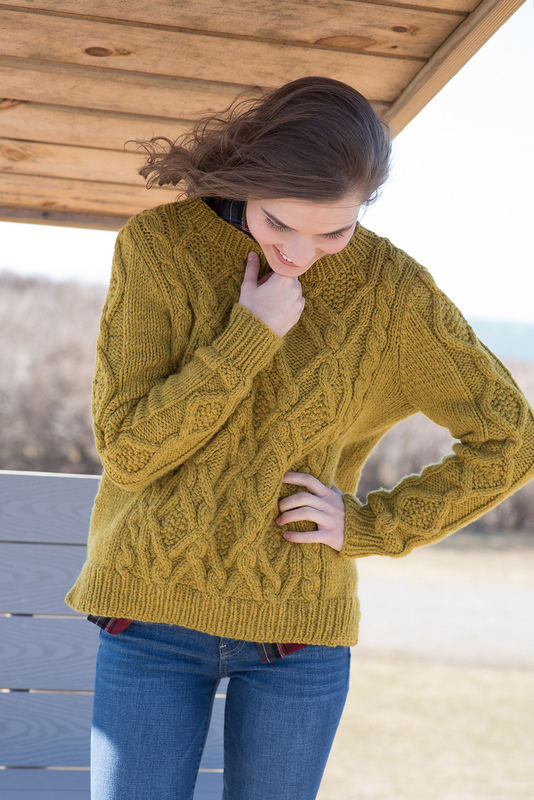 A lofty yarn equals lofty cables, and the intertwining stitches of this sweater are fun to knit and have a giant impact. Knit from the bottom up, the body is worked seamlessly after joining the asymmetrical hems; sleeves are knit separately and seamed. This button-down V-neck cardigan has a simple silhouette for layering over everything. 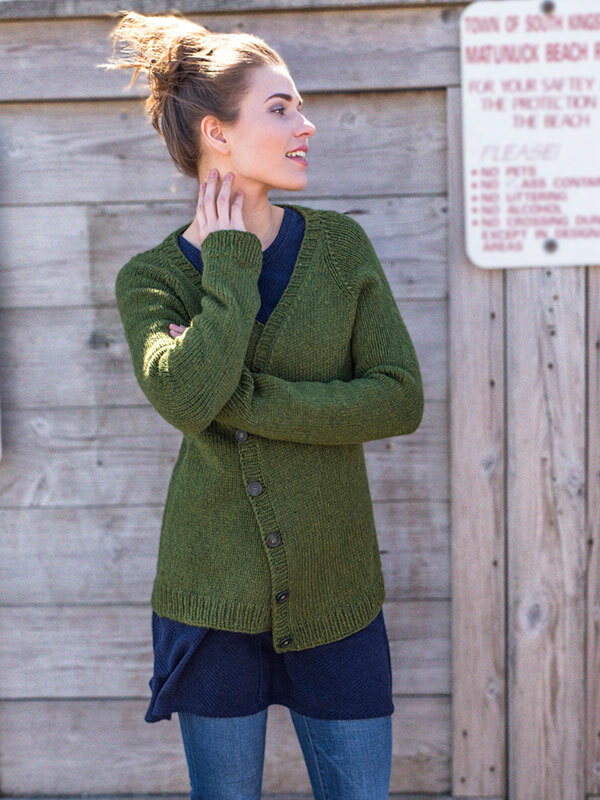 Knit seamlessly from the bottom up, the sleeves of this cardigan are joined to the body with raglan decreases. An easy texture pattern is worked in the round to make the ultimate cozy cowl. 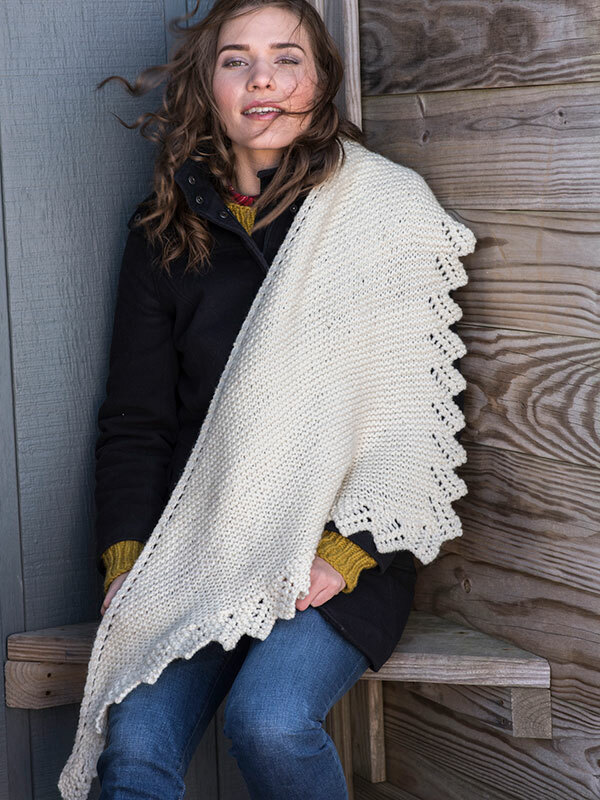 This large triangular shawl is worked end-to-end in garter stitch, with a knitted on edging. 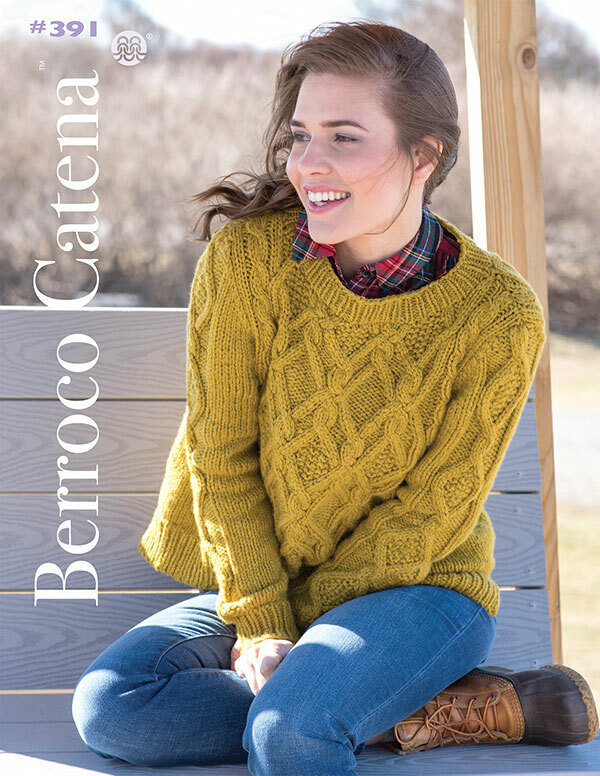 Only three balls of Berroco Catena are required to make this cozy wrap. Can easily be made larger. 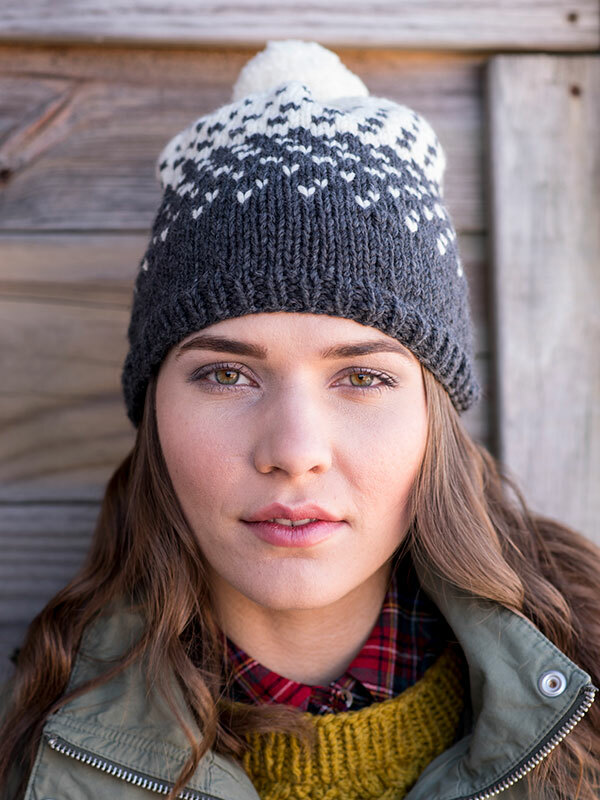 Two colors of Berroco Catena are used to knit this stylish hat. An easy-to-work colorwork pattern blends the two colors, while a supersized pompom tops the crown. Find these patterns and yarn at the shop – it is one of our new Fall favorites.